Prominent & Leading Manufacturer from Mumbai, we offer rubber silicone polisher, porcelain bond diamond polisher, rubber diamond polisher, rubber bond diamond polisher and diamond polisher. In order to meet the diverse requirements of the clients we are offering Rubber Silicone Polisher. 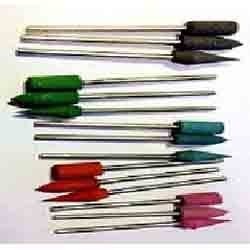 These rubber polisher are provided in all standard sizes as per the needs of customers. Our rubber polisher are manufactured using optimum quality material which ensures durability and reliability. These rubber polisher are checked from our end so as to deliver a flawless range. With our rich industry experience we are offering our clients utmost quality of Porcelain Bond Diamond Polisher. These rubber polisher are highly applauded by our customers, owing to their elasticity & enhanced durability. In addition to this, these rubber polisher are properly checked by our skilled professionals in order to provide defect free range to the customers. 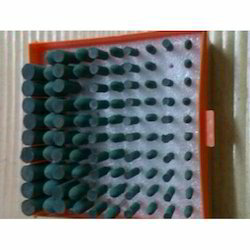 These rubber polisher are provided to our customers at affordable rates. Backed with a team of skilled professionals we are actively engaged in offering Rubber Diamond Polisher. The offered rubber wheels are manufactured using high-grade rubber & other allied material and the latest technologies, as per with set industrial standards and norms. Along with that, these rubber wheels are tested on numerous parameters to make certain their quality from our end. We are widely appreciated in the market for our ability to offer Rubber Bond Diamond Polisher. These rubber polisher are manufactured with top grade of rubber & other allied material and contemporary technologies, in adherence with market standards. Our offered rubber polisher are provided in various customized forms as per the divergent needs of our customers at the most affordable rates.